Second work meeting on the project "Golden Treasure We Share"
From 21st to 25th April, 2010 students and teachers from "Ivan Vazov"Secondaty School welcomed guests on the project “Golden Treasure We Share” funded by “Comenius”. Students and teachers from 5 countries: Hungary, Bulgaria, Poland, Romania and Turkey have studied “Golden ratio” in the field of biology. They found it in the human body, flowers in fruit and vegetables on the work sessions. On the second day the guests- students and teachers visited Kalofer Eco path and continued with the findings of the golden proportion in nature.The projects were elaborated on the theme "Environment – Sources of pollution and How to protect nature" and then students arranged an exhibition. 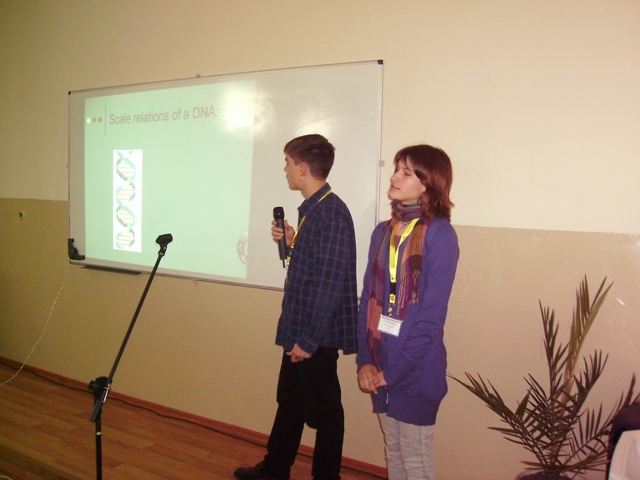 Participants presented attractive Power Point presentations about Bulgaia, about “Golden Section in Nature” and about natural beauties in the native countries. The guests visited our town, Karlovo, Kalofer and Veliko Tarnovo. We prepared for them and showed them traditional Bulgarian dishes and presented our folk songs and dances. A meeting on the project "UNITED IN CULTURAL DIVERSITY"
link to " Golden Treasure We Share"